Bold, beefy flavor and juiciness are to be expected when you serve this family-style tri-tip roast. A great value for family meals, it's often sliced for sandwiches and is a great choice for fajitas, as well as served in traditional roast fashion. 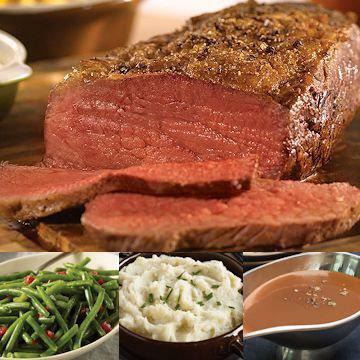 Family and friends will love it roasted with All Natural Seasoning and served with our delicious gravy, Garlic Mashed Potatoes and green beans. Meal serves 4.